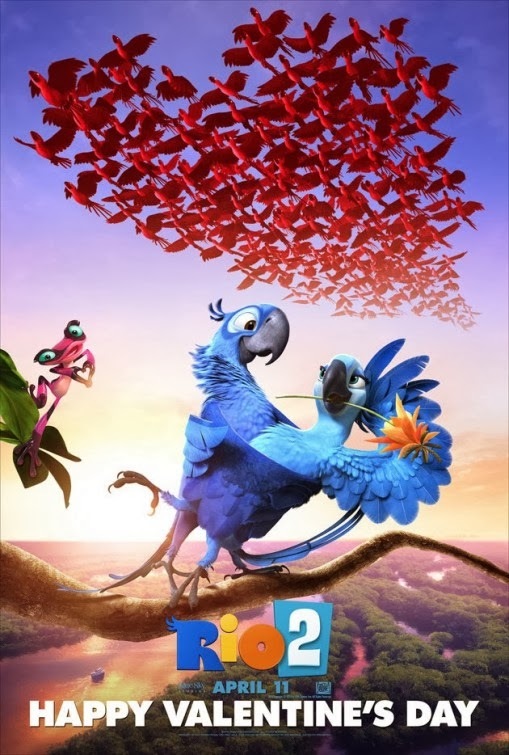 Rio 2 Movie Trailer – By Blue Sky Studios. Love the monkey video! 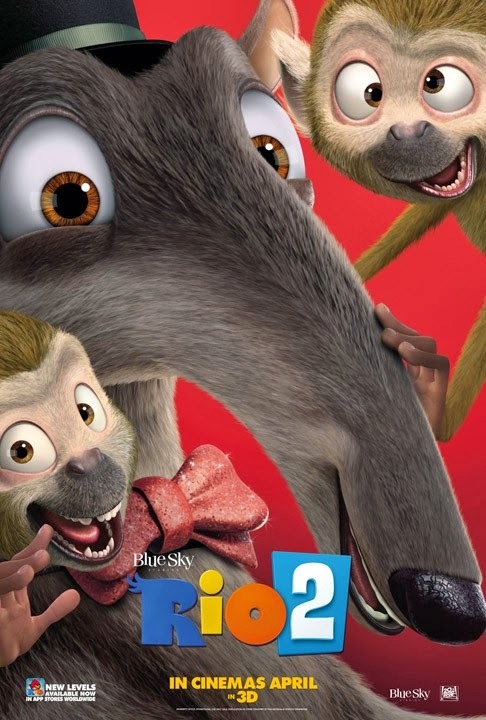 I’d love to watch a spin-off movie revolving around this monkey and his crazy simian puppet! That pop-up book with the snake made me smile: I love pop-up books! 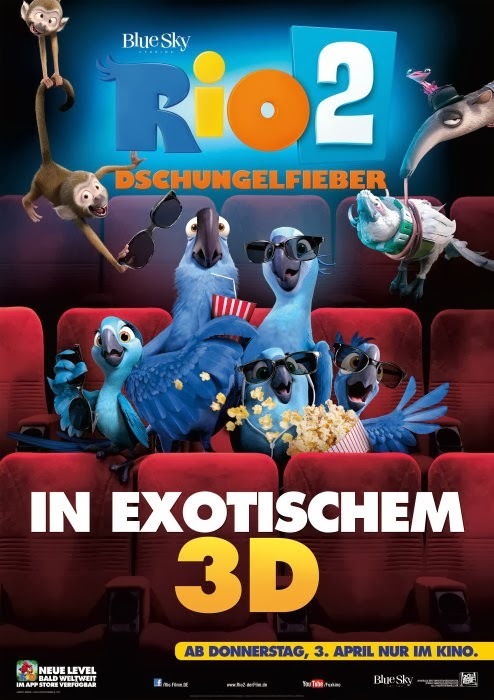 Rio 2 – Welcome back! That funny pink frog (a poison dart frog) is called Gabi (voiced by Kristin Chenoweth). She’s madly in love with the evil cockatoo Nigel! 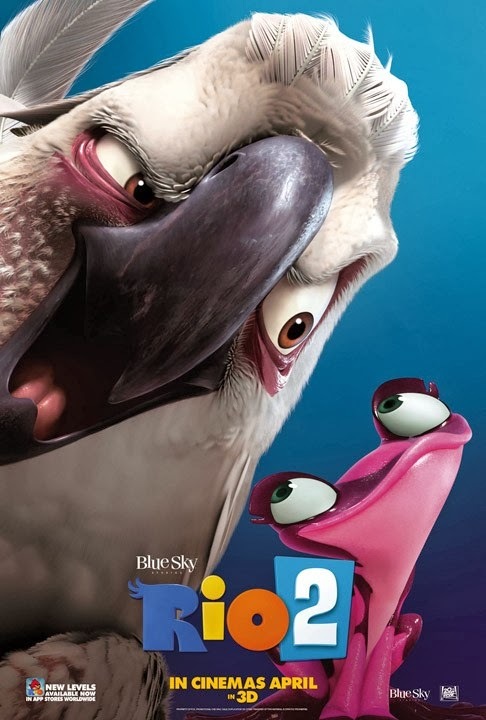 The cockatoo Nigel looks like a sadistic drug addict who’s dying for a hit! 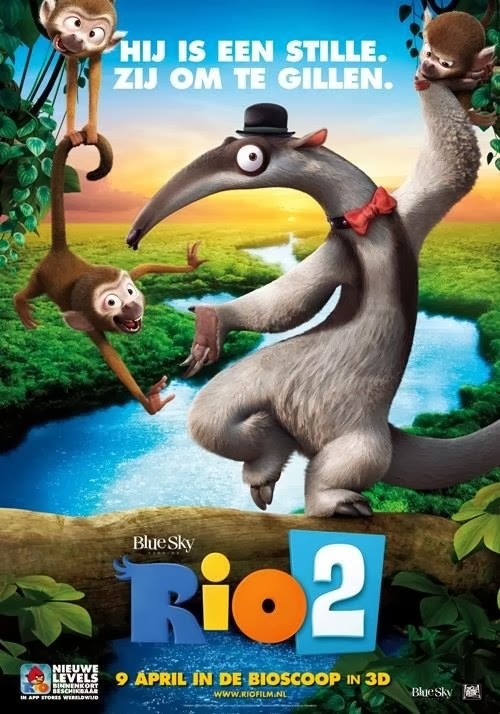 For those who don’t know that strange-looking animal wearing a hat and a bow necktie is an anteater. 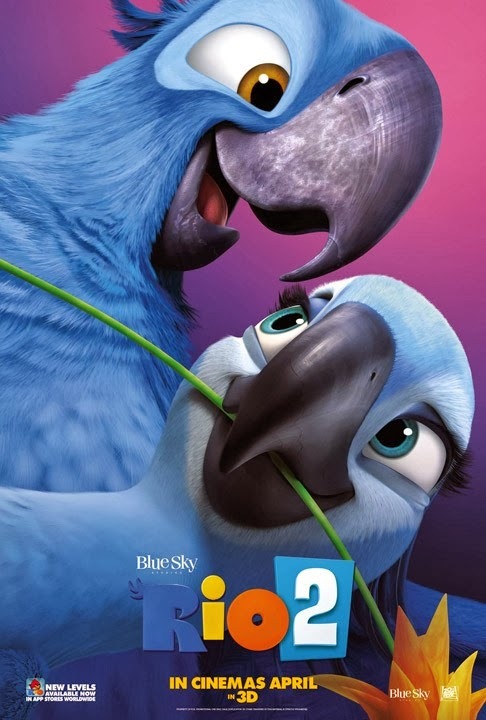 Who do you prefer: the naive macaw Blu or the sadistic cockatoo Nigel? For God’s sake just turn off your damn phone when you go see a movie! 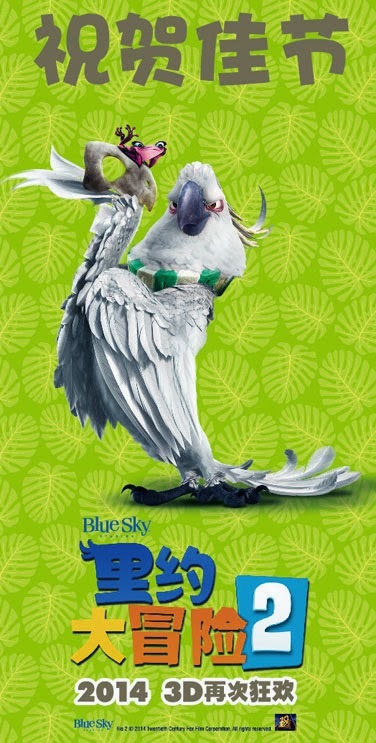 Blue Sky rocks! Love their films! 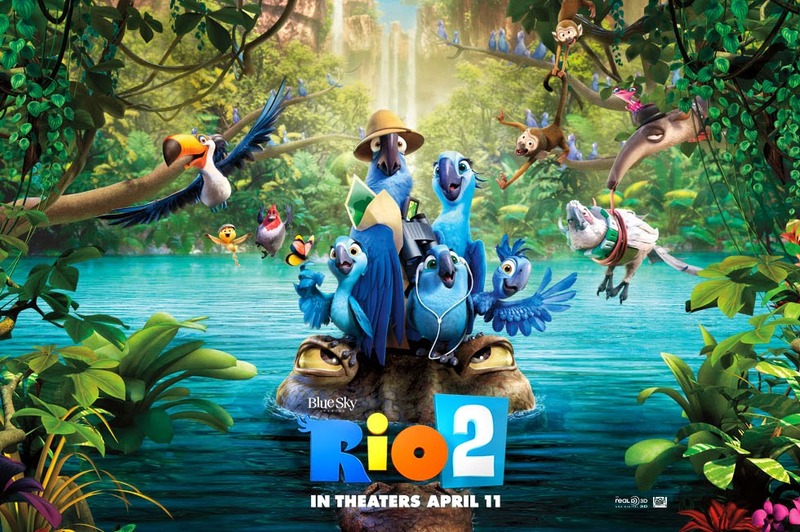 Am impatient to see the sequel to Rio! Can’t stop laughing! 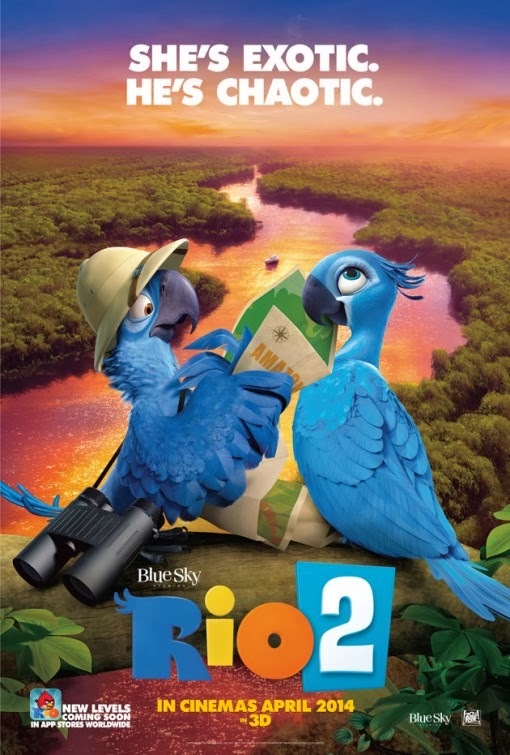 Love this new teaser trailer of Rio 2! Are you ready to join the party? 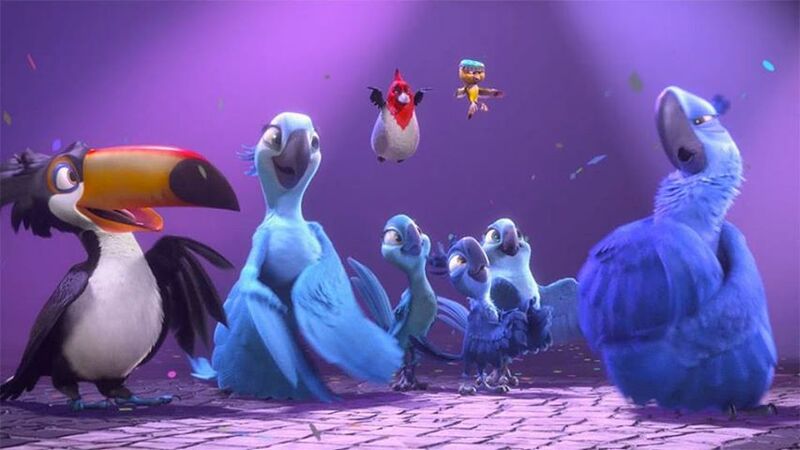 Do you know how to dance samba? 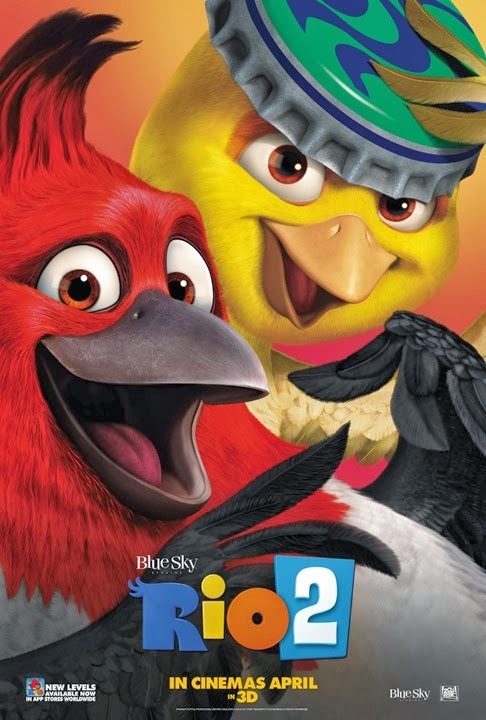 The film will hit theaters on April 11, 2014. 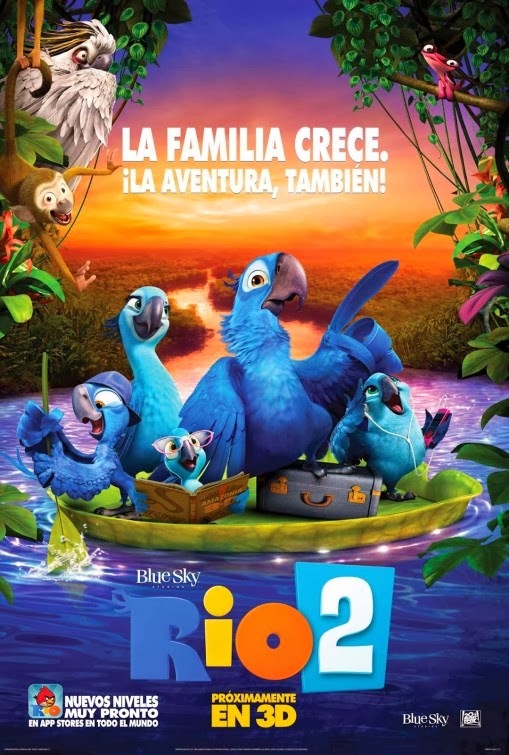 “In Rio 2, we find Blu, Jewel and their three kids living the perfect domesticated life in that magical city. 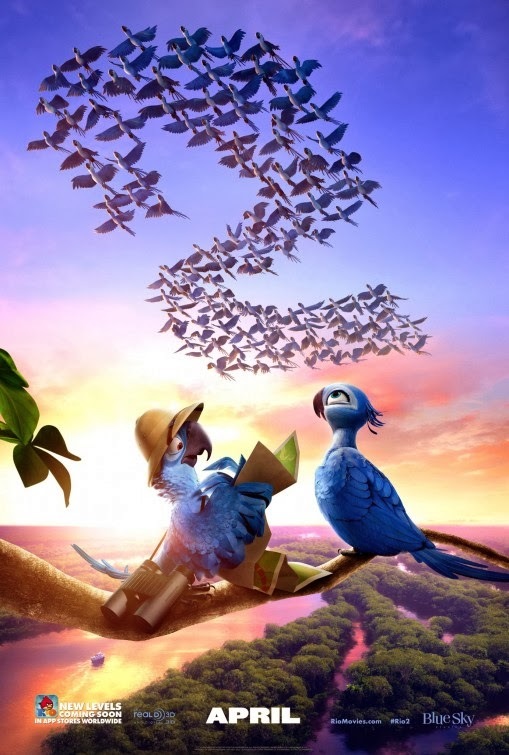 When Jewel decides the kids need to learn to live like real birds, she insists the family venture into the Amazon. 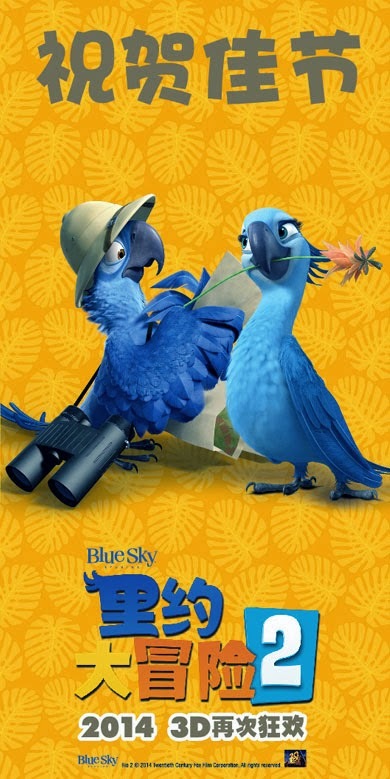 As Blu tries to fit in with his new neighbors, he worries he may lose Jewel and the kids to the call of the wild. 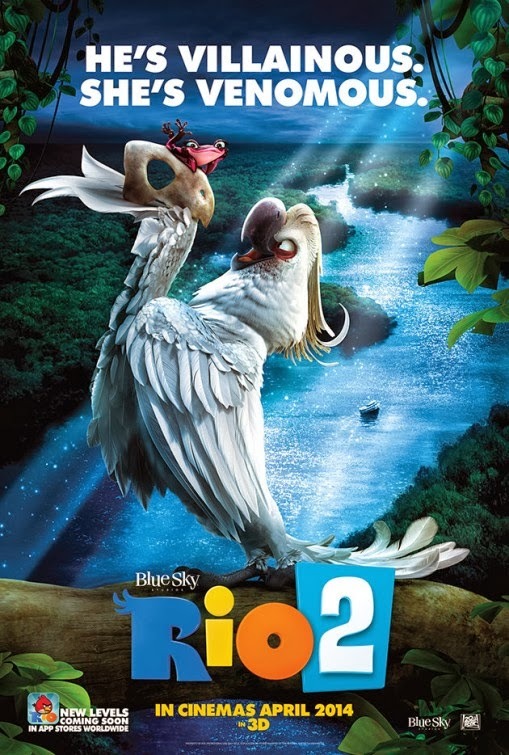 I did enjoy the first Rio movie. 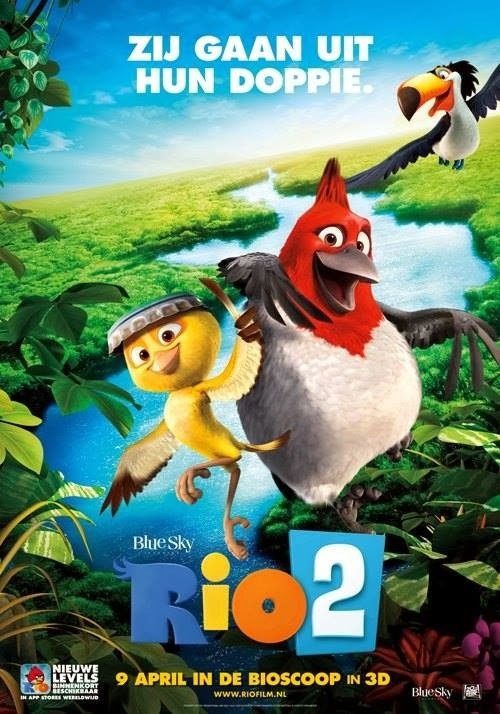 Let’s hope the sequel will be at least as entertaining and won’t disappoint. The film is directed by Carlos Saldanha who helmed the first film. 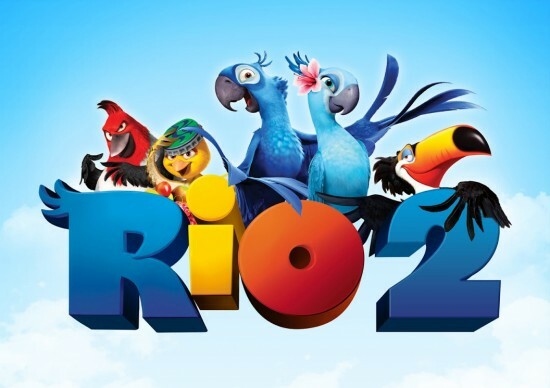 The release date of Rio 2 is set for April 11, 2014. 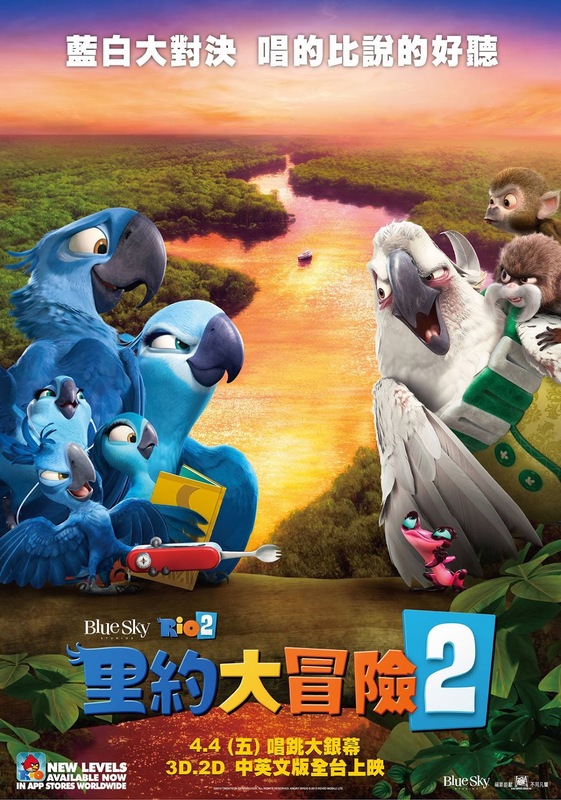 Jewel and Blu have kids by now! 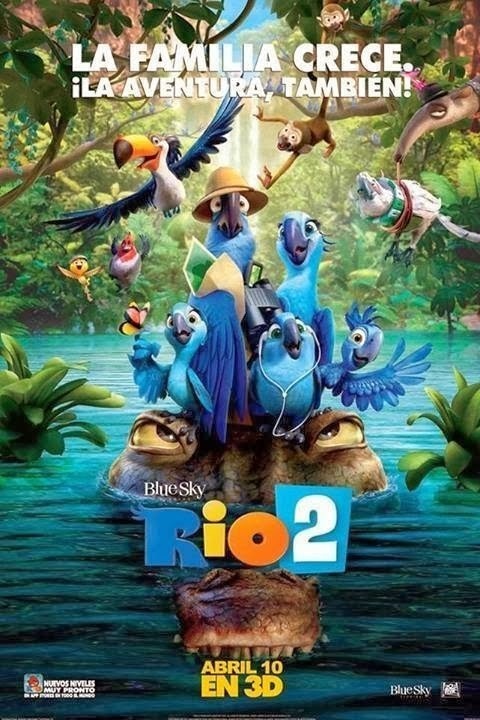 Sounds great, can’t wait to see the whole family and to join them on a new adventure as they go explore Amazonia in Brazil.